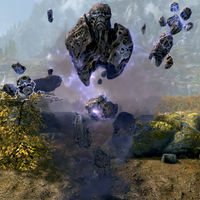 Conjure Storm Atronach is an expert level Conjuration spell that summons a Storm Atronach to aid you in combat. Elemental Potency, summons the more powerful Potent Storm Atronach. This page was last modified on 18 April 2016, at 16:55.